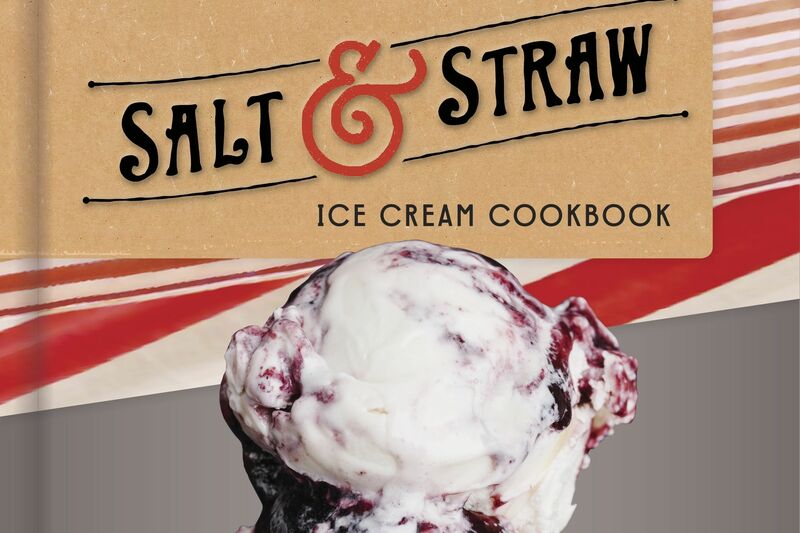 Salt & Straw's new Happy Birthday Elvis! flavor. 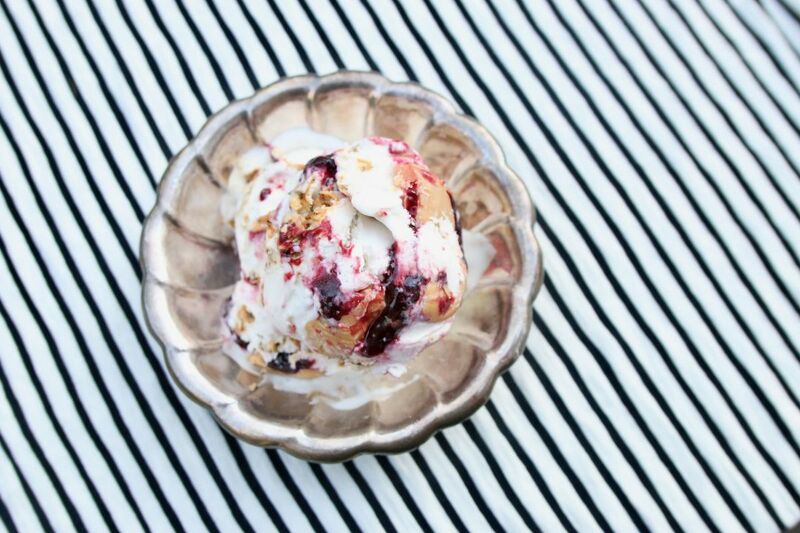 The dairy-free banana coconut ice cream, swirled with marionberry jam and peanut butter fudge, is part of the ice cream innovator's Vegan New Year series this month. Vegan ice cream doesn’t seem like that big of a deal until (due to moral principles or health speed bumps) dairy is suddenly no longer an option in your life. 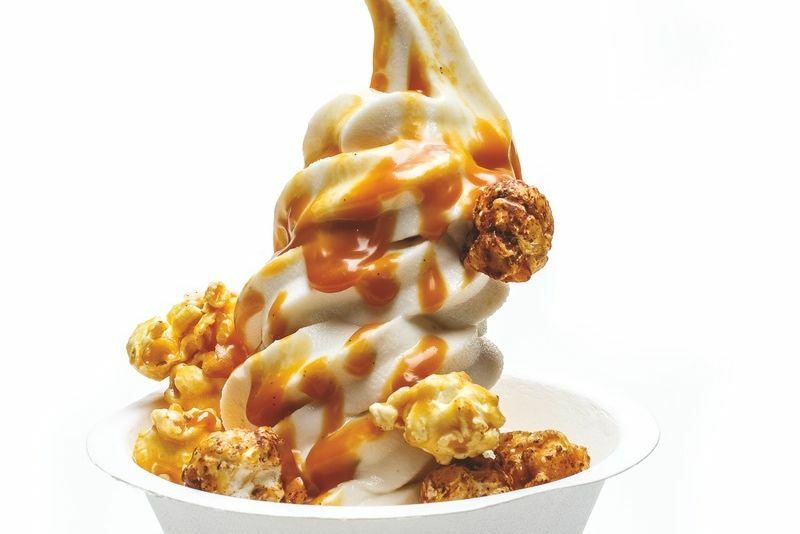 And then, sweet holy baby lactose, vegan ice cream is the third most important thing in the world, right after New York Times alerts about North Korea and cat GIFs. 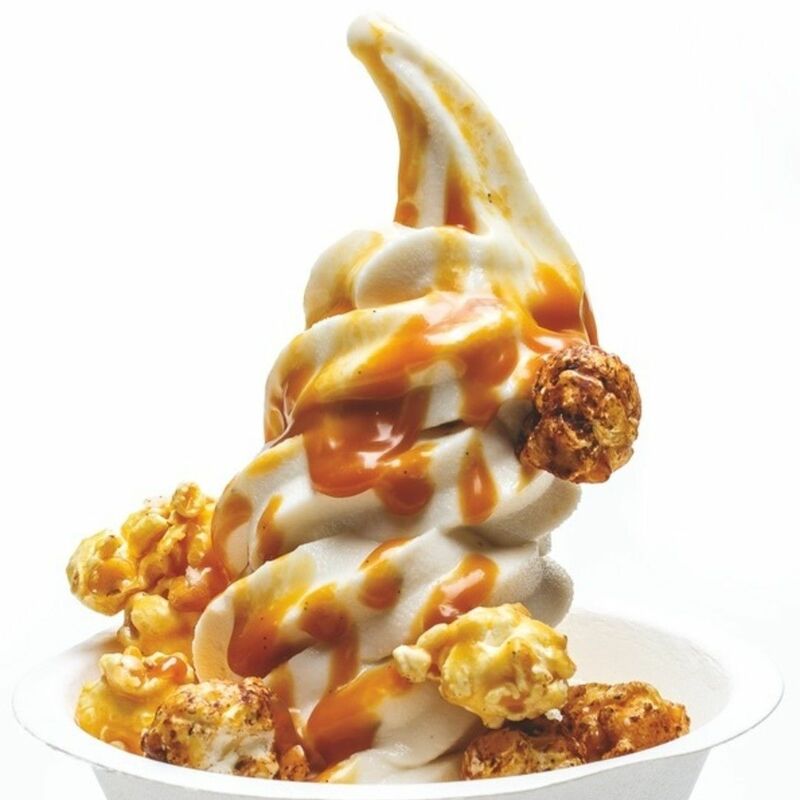 A note: Portland already has excellent dairy-free/vegan ice cream options, from the stellar coconut and nut milk fro yo at Eb & Bean to Back to Eden’s silky soy soft serve, which I think tastes almost exactly like the stuff in a McDonald’s cone (this is a compliment). 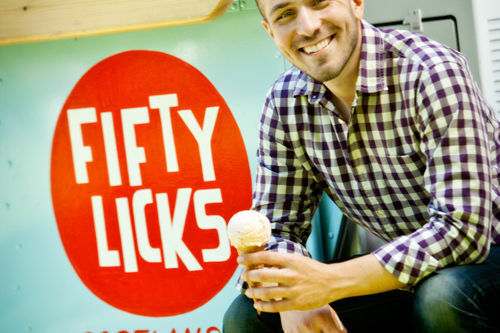 And people who skip the coconut lemon saffron at Fifty Licks because it lacks cow juice are missing out on some lush, zingy wonderfulness—it’s one of the shop’s best flavors. 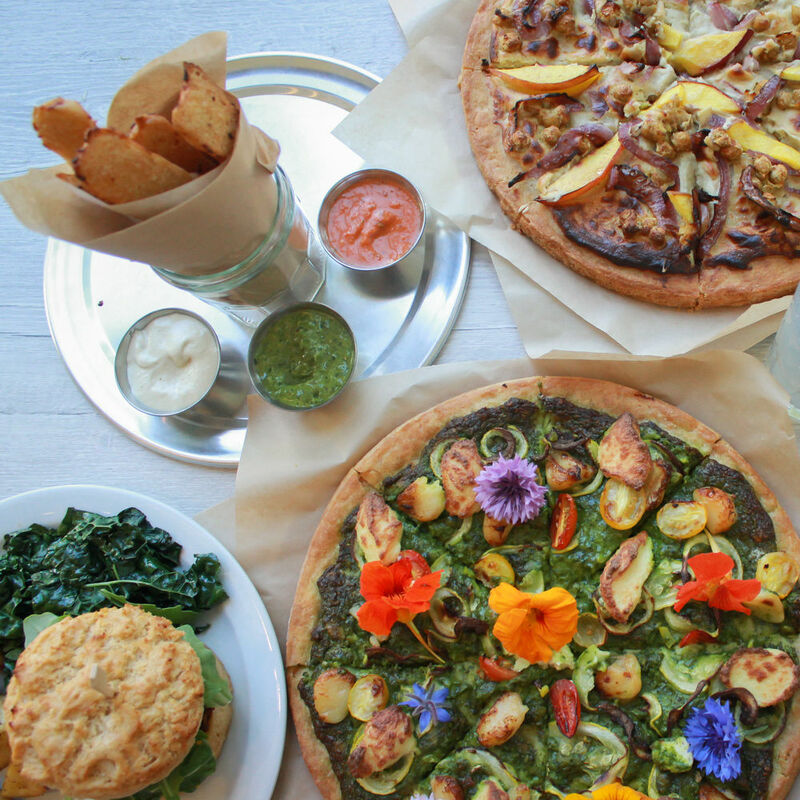 Still, having Salt & Straw, arguably the city’s big frozen kahuna, commit to an all-vegan lineup for a month is a huge deal. 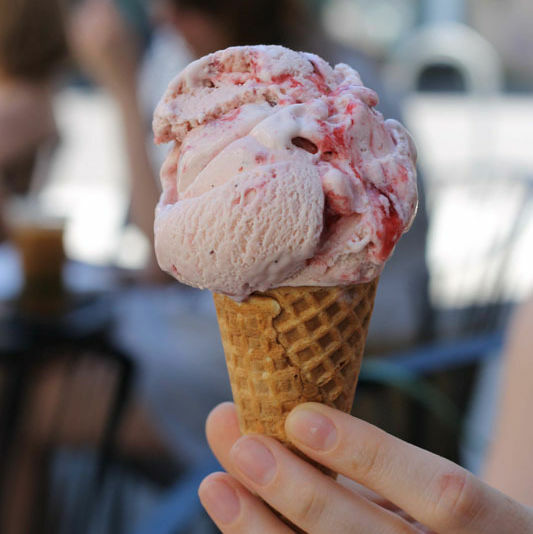 Usually the frozen tastemaker stocks a lone vegan flavor on its Classics Menu—right now its Roasted Strawberry Coconut. 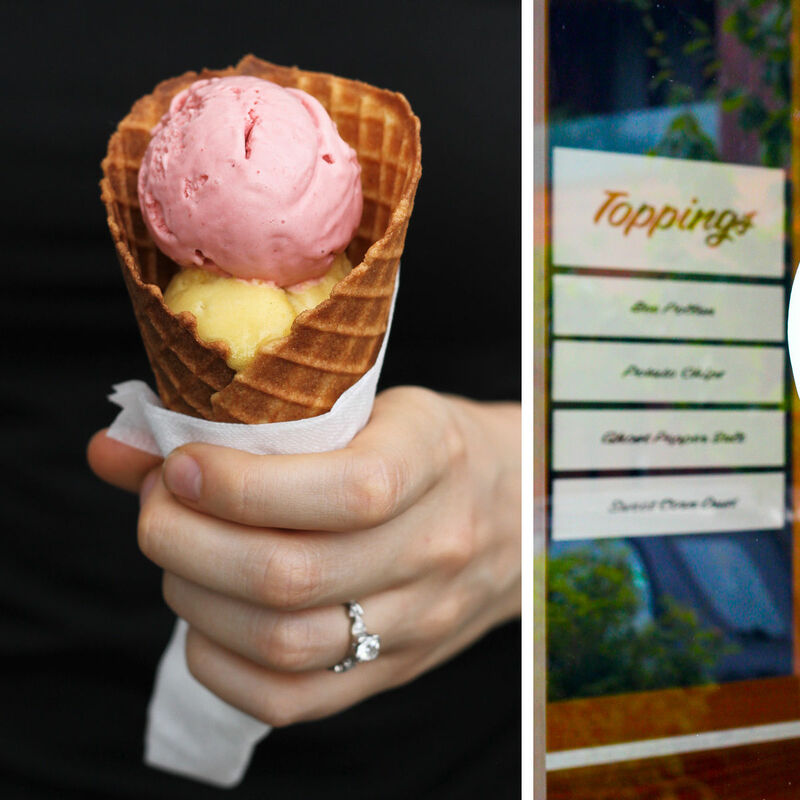 So try out all the new non-dairy scoops before they melt for good in February. 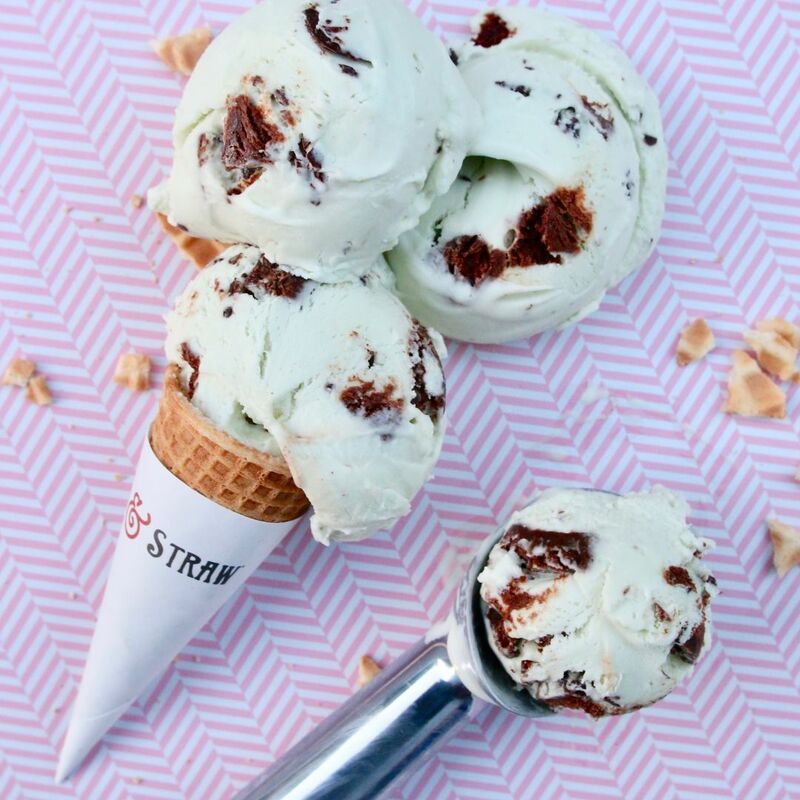 Salt & Straw's vegan Mint Chip Whoopie Pie, available January 5–February 1. Happy Birthday Elvis! 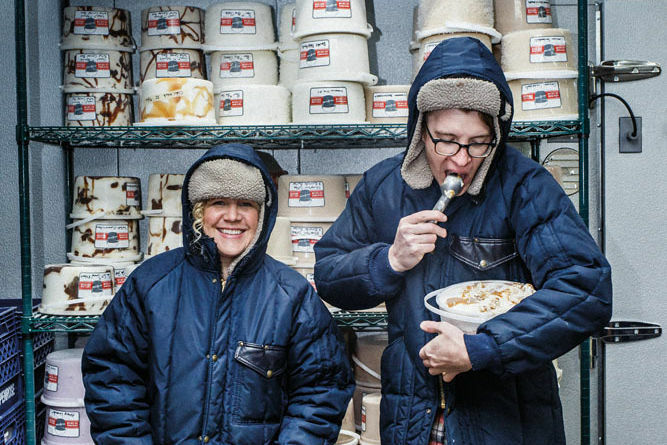 "Inspired by [the King's] love of peanut butter, bacon, and banana sandwiches—a banana coconut ice cream...swirled with marionberry jam and peanut butter fudge...and shaved coconut cooked in a mix of tamari, smoked tea, and maple syrup so it’s candied to taste exactly like bacon." Chocolate Hazelnut Fudge "Hazelnut ice cream [made with] the perfect combination of hazelnut milk and hazelnut butter with a little salt, sugar, and really good cocoa powder. [Plus] pieces of our homemade gluten-free brownies." Mint Chip Whoopie Pie "Rich coconut ice cream [with] freckled chocolate and a few drops of pure peppermint oil from our friends at Seely Farm [and big chunks] of dairy- and gluten-free Whoopie Pies from Petunia’s Pies & Pastries." Candied Apricot Faux-yo "Coconut cream [fro-yo] hit with a little lime...apricot puree, green cardamom [and] pieces of candied apricot for texture and fun." Heidi Ho’s Lemon Cheesecake "Rich cheesecake [made with] Heidi Ho cultured cashew chevre "cheeze" [blended] with coconut milk and lemon, [swirled] into a simple vanilla coconut ice cream [with] almond flour crust crumbles."